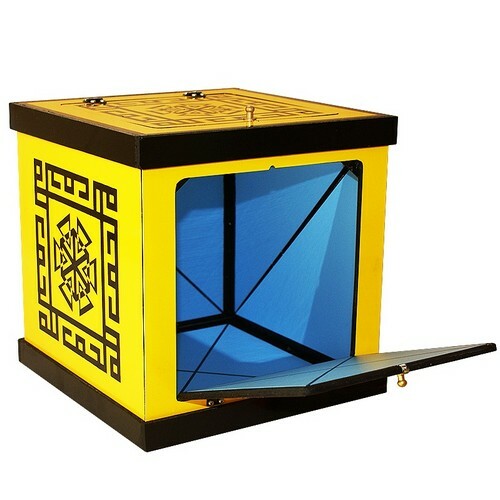 The magician opens a box and show that it is completely empty. He closes it, makes s a magical gesture, and then produces silks and other objects from inside it! A classic of magic, in a practical version that packs flat! • An evergreen effect that audiences of all kinds are fascinated with. • Packs flat for easy transport, but plays big. • The box, made of wood, measures 20.7 cm (8,1”) x 22.5 (8,8”) x 21 (8,2”). The production material is not included.